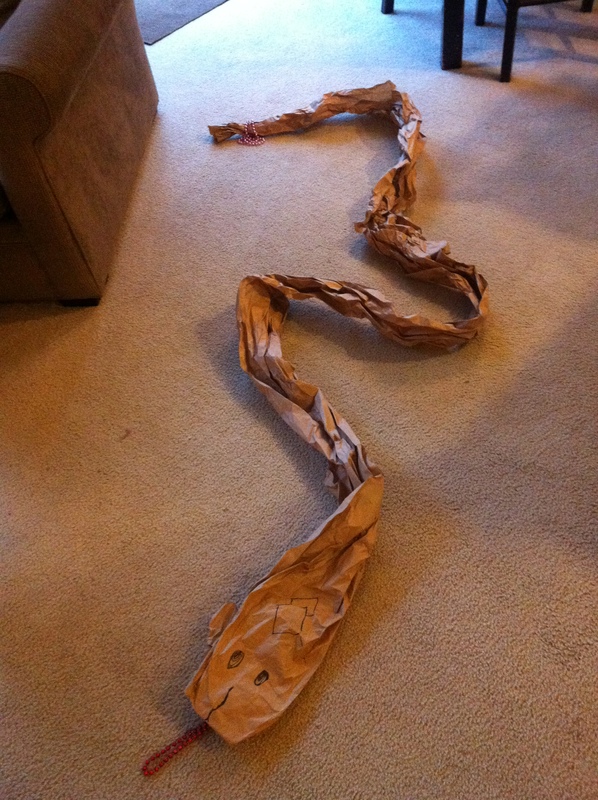 I received a large box with testing items in it, but the real treasure turned out to be the long roll of packing paper that came with it… With a couple of “modifications”, the paper roll became our new pet. 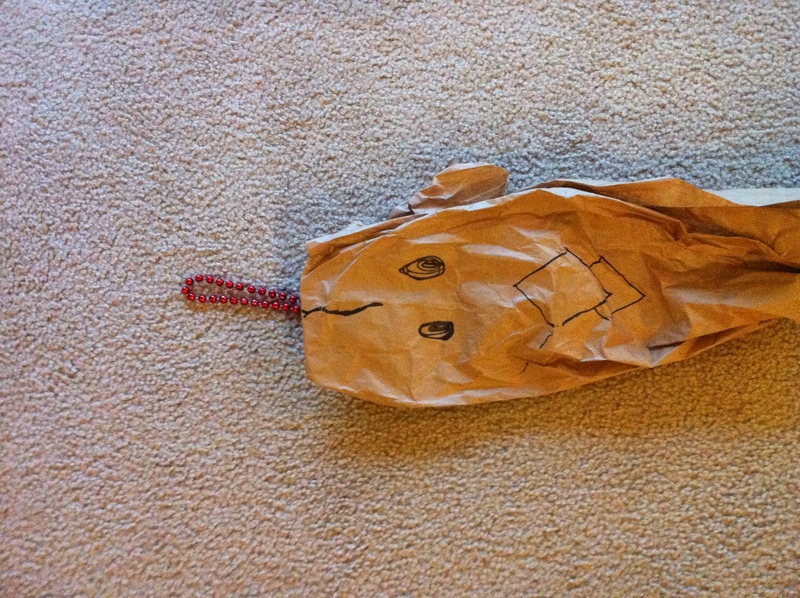 We added eyes and a tongue, and a rattler to the end. 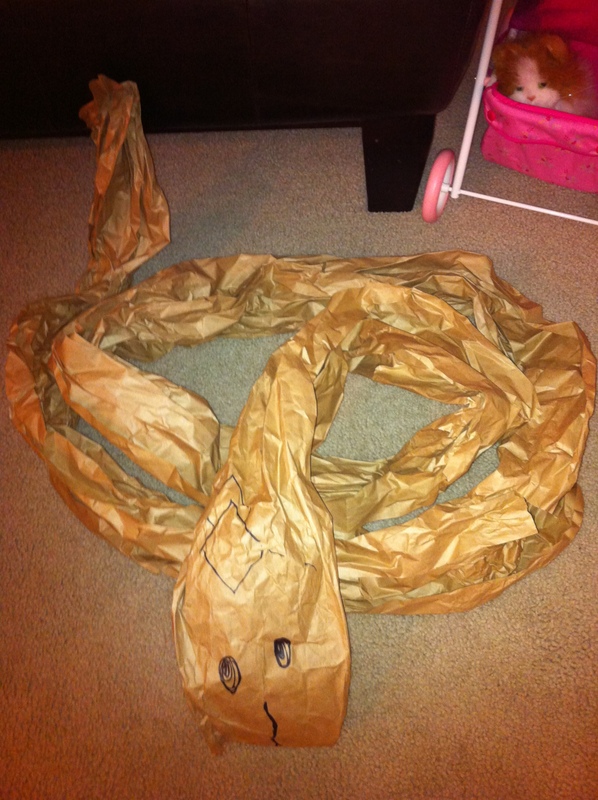 Welcome “Snake” who said “ssssss” and danced around our living room like one of those Chinese parade dragons. We talked about snakes and what they look like and what they do all day (besides hiss “sssss”). But my daughter’s favorite part was definitely holding one end and having a parade with mom holding the other end. It’s nice that she still appreciates my groovy dance moves. (I’ll be sure to remind her when she hits middle school.) Great fun was had by all!